When done right, a marketing campaign can be one of the most powerful ways for brands to attract and engage audiences. But how can you stand out from the crowd? From seamless CGI in movie promo to using the #MeToo movement to rebrand yourself, we’re seeing technology and new strategies pave the way for meaningful marketing and storytelling. It’s exciting to think about the possibilities of new mediums and tech to tell authentic stories in the future. 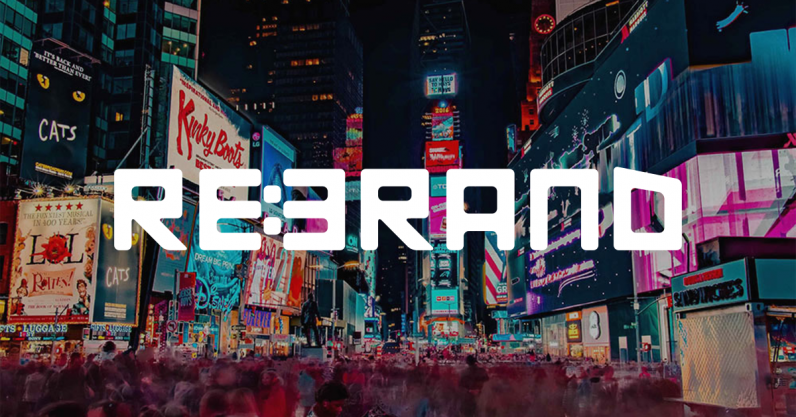 At TNW2019, our technology conference in Amsterdam, the Re:Brand track will explore just that. We already have some cool speakers lined up, from brands that are at the forefront of powerful marketing. Don’t miss National Geographic, Zendesk, and more share their visions for the future. Brand identity is dynamic – it’s important to reinvent yourself to keep up with the emerging landscape. The problem? People tend to dislike change. For example, we’re still getting used to Slack’s new logo. So how do brands keep their customers loyal to them through a rebranding? Speakers like Toke Nygaard, CCO of Zendesk, will discuss how the most successful rebrands of the year pulled it off. He’ll walk through the strategies and choices that have the most powerful impacts, and how to weather the potential backlash. How can brands build communities and start movements? Creating a strong brand ethos can be very rewarding, but it’s hard to get it right. It has to feel like a natural step, and come from a sincere place. A great example of a brand that successfully embodies an ethos is National Geographic. With a focus on the beauty of nature and humanity, it was a natural step to align their brand with the fight against global warming. Their Executive Vice President of Global Brand Strategy, Emanuele Madeddu, will talk about how he develops strategies and award-winning multimedia campaigns. Don’t miss his TNW2019 talk! JUST ANNOUNCED: @Emanueleon from @NatGeo will speak at #TNW2019! As an iconic mag and top social media brand, NatGeo knows how to highlight their vision. Interested in branding or simply a fan? This one's for you. The words we use matter. In the world of marketing, the mantra “be authentic” has lost all meaning. So how can we ensure that we’re using the right messaging, and on the right channels? At Re:Brand, we’ll talk about the latest platforms, tools, and communication strategies that will have an impact in the coming years. Alain Sylvain, CEO of Sylvain Labs, will discuss how marketers have overused terms like innovation, diversity, and empathy – and how it’s not too late to reclaim them. Drawing from neuroscience and pop culture, he’ll share how these terms can help reinvigorate our creativity to produce, well, innovative marketing campaigns. If you’re in marketing, branding, or advertising, the Re:Brand track is for you. Don’t miss our lineup of speakers discuss the latest technology and trends that will keep you ahead of the game – get your TNW2019 tickets now.